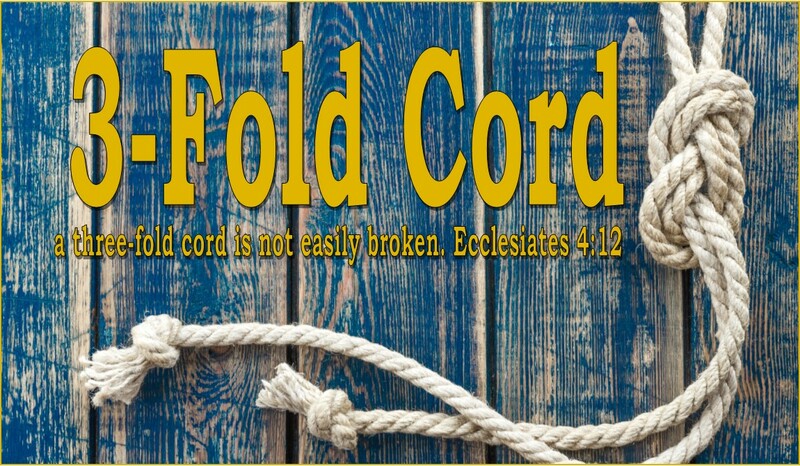 Today we have the honor of having Matt Rose author our first ever guest post on 3-Foldcord! I’ve had the pleasure of connecting with him via the interwebs over the last year. He is a devout believer and relentless seeker of the most High God. He is also a very cool cat and sports an awesome green shirt in his Twitter profile picture (which I earnestly covet!) Be sure to visit Matt's blog- An Open Book and follow Matt on Twitter @MatthewSRose. Be sure to show him some love (or disagreement) in the comment section as well. 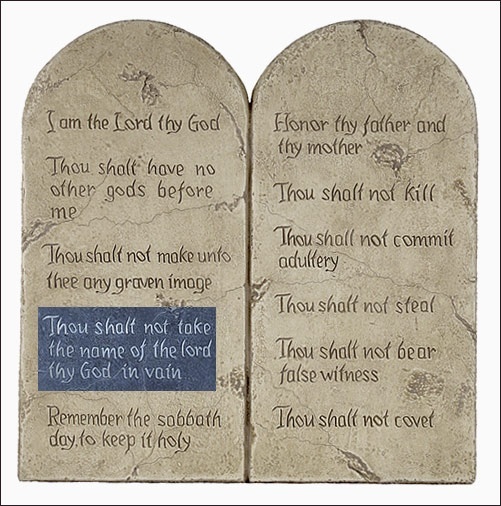 When I think about the traditional Ten Commandments, this is one that just seems strange. It makes sense that we shouldn’t murder. It makes sense that we shouldn’t worship other gods. But what is all this talk about not misusing God’s name? Does it just mean that I need to say “OMGosh” instead of “OMG”? 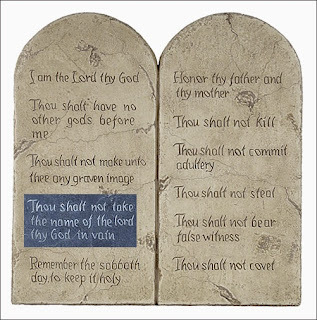 The ancient Hebrew people—the ones who first received this command from God—were so concerned about violating it that they wouldn’t even use his name. Essentially, to them, he was G-D. Or “The Lord” or “The Almighty One” or some other variation. I’m not saying we should never think twice about the words we speak or the way we speak them, but I am saying I believe there’s much more to this command. In his book, It’s Not About Me, Max Lucado tells a story about an exchange he had with a rabbi. An exchange where Max did all the listening and walked away changed forever. Imagine, says the rabbi, a large corporation. The average worker doesn’t know the CEO personally, but most of them have met his daughter, because she works with them. She isn’t her father. She isn’t the CEO. But what the workers see of her shapes what they think of him. For better or for worse. And that, says the rabbi, is how we can misuse the name of the LORD our God. It’s all in how we live. It’s all in how we represent—or misrepresent—him. So let’s ask the painful question: do those who know you see an accurate representation of God through your words and actions? Or are you misusing his name? Do you study theology because you long to know God? Or do you just want to be known for knowing much? You might be misusing his name. Do you show love to—and even defend—those whose lifestyle or culture is different than yours? Or do you justify your hatred—your lack of love—by calling it “righteous indignation” instead? You might be misusing his name. Do you use your resources to help those in need? Or do you complain about the big government that is only trying to do what you should have been doing all along? You might be misusing his name. In the end, misusing God’s name is not so much about what we say. And yet it’s all about what we say. Because our actions speak too. And they speak louder than our words.